As cities around the globe buckle under intense car congestion, some have begun encouraging residents to walk and bike instead of relying on personal vehicles. Walkable urban places (WalkUPs) provide residents with a variety of dining choices, commute options and better connect locals in neighborhoods. And, according to research conducted by Chris Leinberger and Patrick Lynch, WalkUPs also make offices and retail outlets more attractive and competitive than locations that require vehicles for access. However, the majority of WalkUPs are located in business districts, like the Financial District in Boston, or in the downtowns of major cities. To combat congestion and make cities more livable, we must ask: is it possible to convert traditional residential areas in cities into WalkUPs too? The answer isn’t simple. The problem is that the majority of residential and multi-family buildings are stand-alone buildings in scattered suburbs. This uneven distribution of residences within cities is largely due to urban sprawl, resulting in unwalkable neighborhoods isolated from city activities—a trend that has been particularly popular in the U.S. The key for combating this kind of development is to create homes in mixed-use areas with high levels of density; then, the infrastructure for WalkUPs can be easily and effectively implemented. 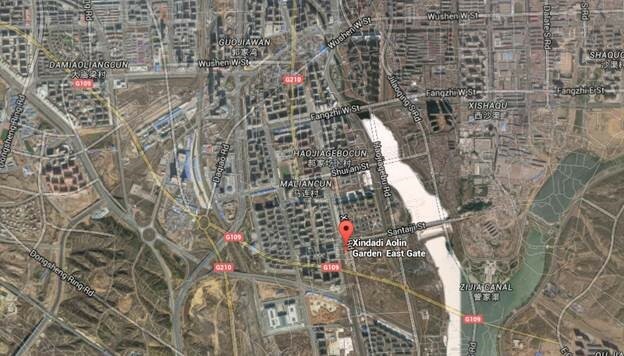 Ordos is a third-tier city in the Inner Mongolia region of China with a population of nearly 2 million; Vibor Aolin Garden lies just to the south of the city. For years the Vibor Aolin Garden district remained a typical suburban area of the city, until Vibor Real Estate Company decided to invest in the community and construct a livable space. Three years after the neighborhood was founded, Aolin Garden became well-known in Ordos as a compact neighborhood with restaurants, salons, hotels and karaoke bars. Later, a kindergarten was established to provide preschool education for local children. In Aolin Garden, there are currently 25 multi-family buildings that are clustered together. Thanks to its lack of motor vehicles and high density, the neighborhood is a zero traffic crash community, allowing the elderly and children to walk and play freely on the streets. Furthermore, each family in the community is allotted a small piece of land for farming. During the summer months, it’s not uncommon to see residents growing and exchanging produce. Hohhot is the capital city of the Inner Mongolia Province in North China, and is home to approximately 3 million people. 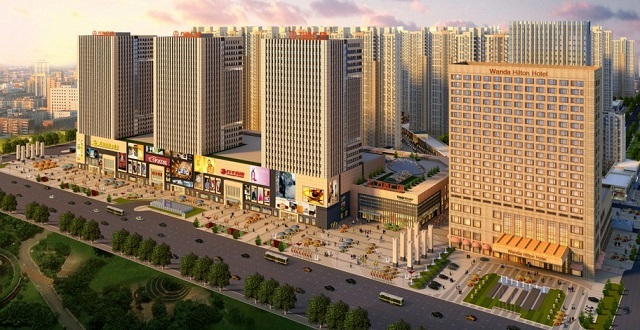 The Wanda Community is located to the east of Hohhot and, like Aolin Garden, has historically been a suburban and disconnected space. However, after its redevelopment which focused on density and commercial activity, Wanda Community became a sub-center of the city. 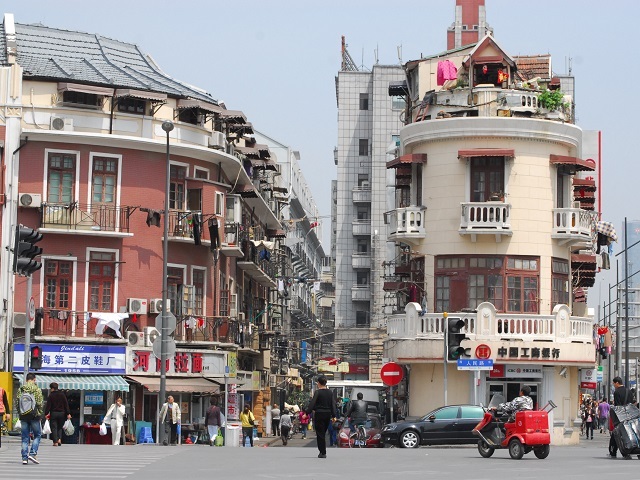 With 5,900 families residing in high rise apartment buildings, the neighborhood only occupies a fraction of the 4 million square meters of surrounding land. To improve basic services for residents and tap into the new market, a large shopping mall, hotels, and entertainment venues were built around the community. Both Aolin Garden and Wanda Community provide examples of suburban areas that underwent major redevelopment projects to unify housing arrangements and ensure that residents were able to safely walk to transport, stores and schools. While the necessary capital involved for both projects were high, both neighborhoods were rewarded with economic returns on their investments, as businesses flocked to meet the concentrated demand for goods and services. In short, suburbs in other countries should learn from these models for future development; instead of building stand-alone apartment buildings that are disconnected, planners should cluster them while focusing on creating WalkUPs. Further, these communities make clear that WalkUPs need not just be in downtowns—they can also flourish in areas away from city centers.